Done deal. Now if we can get Baylor to cooperate we have something. Of course KU needs to win a road game to be taken seriously. 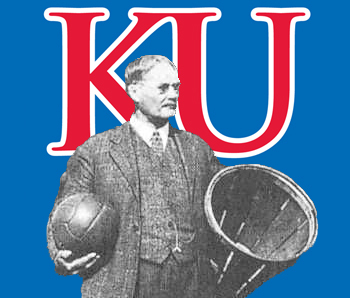 If Baylor beats KSU tonight, KU controls their own destiny for the B12. Makai Mason and King McClure are both out today for Baylor. Mason is in a boot. Both day-to-day. Of course KSU gets us and Baylor with several injuries, smh lucky turds. Dook is putting on a clinic how you beat the pack line defense. Virginia is a mutt - they’re not in the same class as the Dookies. I still think the best team in the country is Michigan. Well, KSU in good shape now. We will see, but I think they have a good shot at finishing with 4 losses. Remember they were down 21 to West Virginia at home and came back, they still go there. Surely bolden or konate, one or both will come back. Anyone heard? Probably for us. I’m a little worried that we may need to win out at this point. But at the same time KSU has @TCU, @KU, @Texas and a home game with ISU left. I would absolutely shocked of they didnt lose half of those teams. Just have to hope we are one of them. Sad to admit but KSU may be the best team in this conference this year. We just need to worry about tcu! If KSU somehow finishes 14-4 in league play, they’re winning the conference outright this year. I don’t see KU winning out with their road issues this year. If KU could hold serve at home and finish 3-1 on the road and finish 13-5 in conference, hopefully that would be enough to share the title this year. I’ll be shocked if KSU doesn’t blow it. They have a tough road ahead. I actually hope they keep picking off the top teams like Baylor and ISU, but I think those sneaky ones (@TX, @WV, @TCU) will be their downfall. Plus, we’ll beat the crap out of them in AFH. I am afraid KSU loses 4 and wins outright…I don’t think any of the rest of the teams will win out. Bu…, maybe they lose at home to ISU…that WOULD seem to be par for the course in the league this year. We can hope. @jayballer73 The way the league has looked this year…it wouldn’t be surprising if KSU lost a game (or two) at home yet. But, with their experience, it just looks and feels like they are the team to get it done this year. I hope I am wrong. @BeddieKU23 The pack line at it’s best. What kind of D we playing tmrw? Who will guard who? I hope KSU blows it and that we beat them at AFH but I’d bet a high dollar we don’t beat the crap outta of anyone moving forward. We can win games and will but OSU was our best chance of beating the crap outta anyone. We pretty much did in the second half and they hit a few lucky 3s at the end. I still think we need to win out to get this title. TCU is next in line, lets go! Have to go man to man. With the big guy I bet Dave starts again to match their beef. A key with that will be trying to get Samuel in foul trouble, he’s had 9 games of 4+ fouls this season. Miller gets Dedric. Noi gets Agbaji, Bane gets Grimes and Robinson gets Dotson. Will have to hope Grimes can defend Bane because the kid has averaged almost 23 a game in conference play at home. He’s the guy that seems to play out of his mind at home comparably to his teammates. The more I think about it I think Agbaji gets the assignment without Garrett here. I’m going to see if President Trump will build a wall around you. @DanR If they play together as a team and go with their gut - they will win. If they listen to their coach, #15 is all ours. I think we’ll win tonight. Day 4 of the flu has me barely functional, and “I think we’ll win” is about as good as it’s going to get. @BeddieKU23 I think also that we need to keep Noai in check - -got to get out and stay with him - -it isn’t going to be easy. Just like every other team - - this is their game their fans have checked on their schedule - - it’s THE game of the year to their fans when they play us at home. We just do not have the weapons this year like in the past where we can afford to just kind of put it on cruise control and then step on the pedal when we realize oh we better pick it up - -win this game. We don’t have that Devonte - -We don’t have that Frank - -and with the way things have played out with Doke going down - -with the ruling of Silvio EVERY game has been and is going to be a war. I feel very confident that if Doke wouldn’t of went down - -If we had Silvio - -We wouldn’t of got beaten at W Virginia - -we wouldn’t of lost at K-State - -with Doke teams would of had to plan differently or with Silvio - -there is yet another game in league I think we would of won with those guys - -just can’t remember at this moment who it was - -slips my mind - -getting old lol. Dang buddy – - hope you get to feeling better that’s no fun - -I’ve been lucky haven’t gotten sick yet this year - -your my buddy but you can keep that yuck lol. - - and your right - there is no stud player that is going to come around the bend in the road riding a white horse - - no knight in shining armor to help us. - -The guys just got to stand up - - act like they have a pair and go do this - -play as one - -get some edge -toughness to them - stay together when they have stretches in the game that go not so good - - stay aggressive - -it’s us against the world man. I can see Self going with Mitch based on his last two games. He’s probably earned it by his play. If we go by the matchup Dave is better equipped to make life difficult for Samuel who’s a near 7 footer with girth to him. Neither Dedric/Mitch is a good matchup overall. The key is getting Samuel in foul trouble. That takes their only rim protector and best rebounder out of the game. Having said that I think we are catching TCU at the wrong time. They just hung 92 on the road against Iowa St. 4 guys went for 17+ including their little spark plug Davis who came off the bench and went for 22. With all the issues this team has had on the road I just don’t see it ending tonight. I would love to be wrong. My one hope is that without Vick the guys rally around each other on the road for once and that’s how we win this game. They have yet to put a good 20 minutes in the 2nd half all season away from home. Something has to change at some point for these guys. @jayballer73 Thanks for the kind words, man. Self’s highest loss total in any year here was 10. No doubt we’re in major rebuild this year, at least to our standards. If Doke doesn’t get hurt, we are 21-3, or 20-4. As it is, we’re 18-6. ranked in the Top 15, and still in the conference race. And we have played the very toughest schedule in the country, bar none. We’re down a 7 footer, our best defensive player, and our best 3 point shooter, and we’re still living to tell the tale. All of these young kids that are getting sand kicked in their face at the beach will be back in full force next year.The passing and ball handling should be exceptional next year. I think the 3 point shooting will be much better next year. Big Dave should continue to develop, and will be a guy that will more than hold his own. I’m thinking we’ll run a 4 out, with Dotson, Grimes, Garrett, Agbaji, and Big Dave as our starters if Doke doesn’t come back, and they can’t get Silvio approved for next year. I think Braun will force his way into minutes, and McBride will see time as well. Down low…well, thats really the tricky part. We might have to get a grad transfer, a juco player, or somebody that would be ready to get minutes almost right away, if we can’t land a big name. I just don’t see anyone on the roster spelling Big Dave who wouldn’t hurt us. Lightfoot is too small. The 5 is not KJ’s game. Maybe the best course would be Doke coming back, but that is certainly not guaranteed. If he were to come back, we might have just enough to make a run at the title next year. I think you will see the 4 spot recruited heavily in the spring. Still in the mix for Hurt. Also, wouldn’t rule out some 2020 top kids that are kicking the tires around reclassifying.